3. 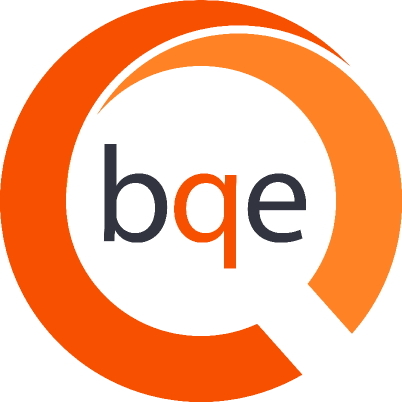 Received a custom invoice template from BQE Software. Now what to do? Most probably, BillQuick does not know the location of your custom invoice/report. Your reports and/or invoices must be moved to the default location or you must specify the location of the reports and/or invoice templates in the User Preferences-Folders screen. 2. Navigate to the default BillQuick installation folder, typically C:\Program Files\BillQuick20xx\. Here you will see a Reports and an Invoices folder. 3. The next folder you navigate to depends on if you are copying a custom report or invoice template. Open the appropriate folder. 4. Each of these folders contain a number of other folders. One of those folders is where you should copy your report or invoice template. "C:\Program Files\BillQuick20xx\Reports\Project Time & Expense.rpt” will not be visible in BillQuick. "C:\Program Files\BillQuick20xx\Reports\Project\Project Time & Expense.rpt” will be visible in BillQuick. "C:\Program Files\BillQuick20xx\\Invoices\Hourly Invoice.rpc" will not be visible in BillQuick. "C:\Program Files\BillQuick20xx \Invoices\Hourly Invoices\Hourly Invoice.rpc" will be visible in BillQuick. 5. Copy and paste your custom report/invoice template into one of the available folders OR create your own folder in the same location. If upgrading from a previous version, these should be in that version’s installation folder. Note: If you make a custom folder for your reports/invoices, it will be easier to locate in BillQuick. 6. Once your files are copied over, you will be able to use these custom templates in BillQuick. 2. Navigate to a location on your shared drive where you would like to store your BillQuick reports and/or invoice templates. 3. Navigate to the default BillQuick installation folder, typically C:\Program Files\BillQuick20xx\. 4. Copy the reports and invoices folder(s) and all their subfolders. Paste them into your network location. 5. Open the newly copied folder and copy and paste your custom report and invoice template into an available folder. 6. Open BillQuick and go to the Settings menu, User Preferences-Folders screen. 7. Using the browse button next to the field, locate your report/invoice folder on the shared drive. Save your settings. Location of Report Files: x:\BillQuick\Reports where x is the mapped network drive. Location of Invoice Templates: x:\BillQuick\Invoices where x is the mapped network drive. 8. BillQuick will now read your invoice and report templates from the shared location. For anyone who needs access to these custom reports, please repeat steps 6 & 7.